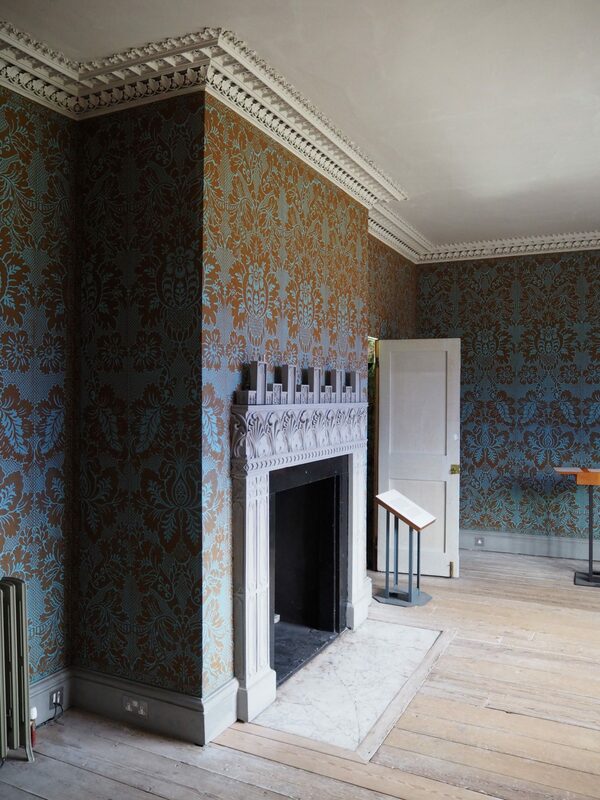 If there’s one thing that London has on offer, it’s easy-on-the-eye and historical houses. 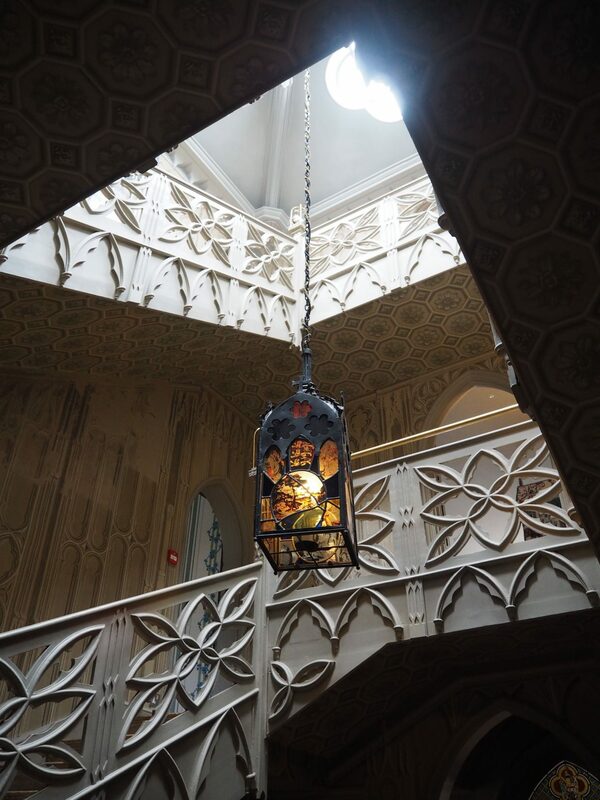 Earlier this year I discovered Hampton Court Palace and a few months ago one of my friends mentioned Strawberry Hill House was worth a visit. 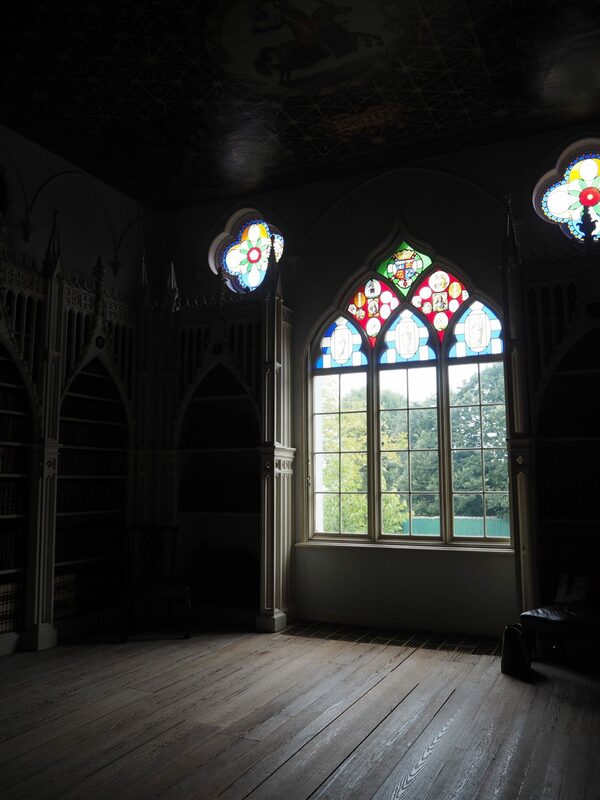 Strawberry Hill House? I’d never heard of it, but with a cute name like that how could I not be intrigued? 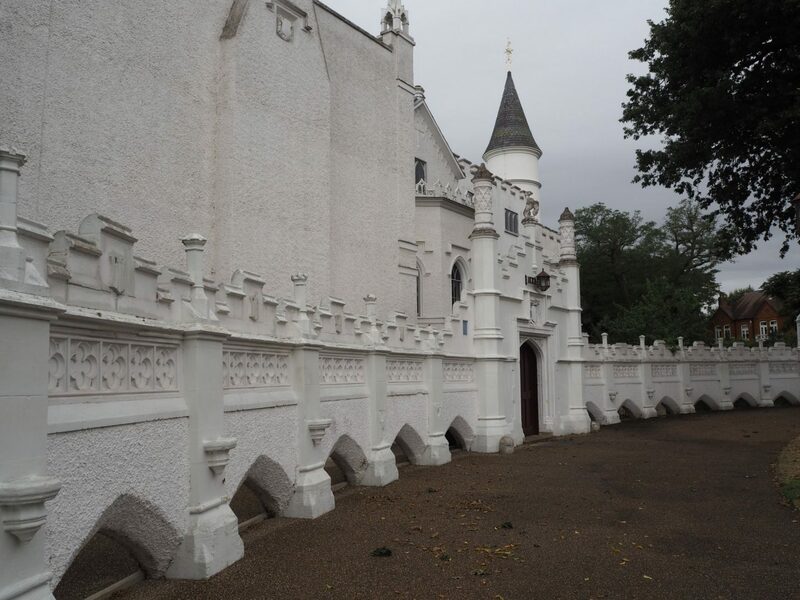 Eventually my friends and I arranged a little expedition to visit this house, which guess what, is located in Strawberry Hill, Twickenham. 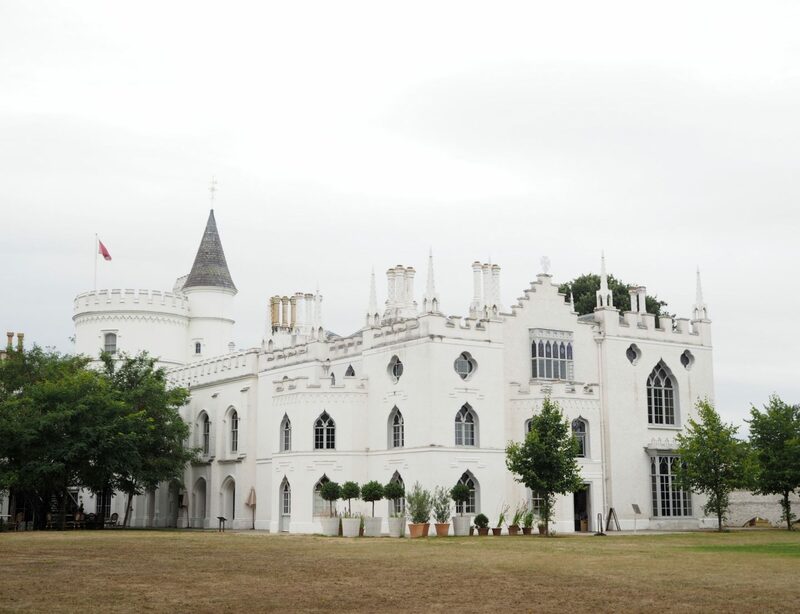 Strawberry Hill House was built all the way back in the eighteenth century by the art historian and politician Horace Walpole. 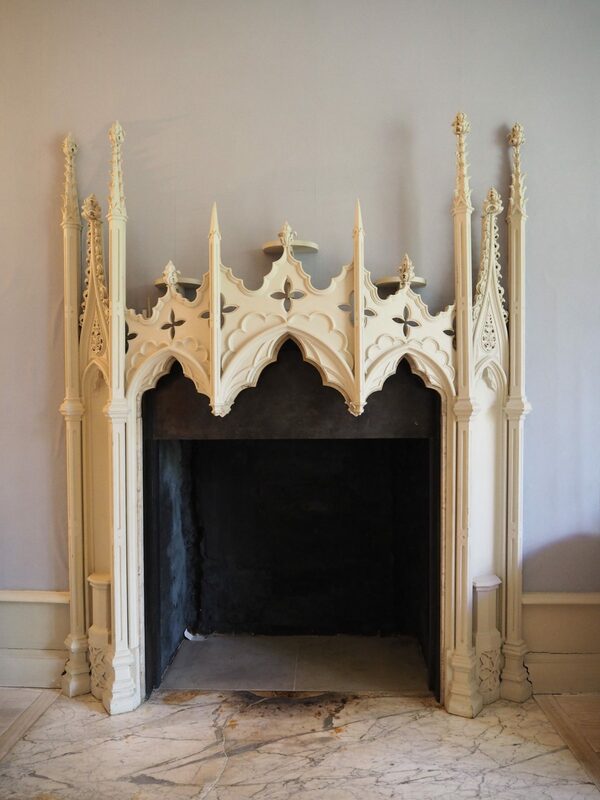 Apparently this house was initially a small cottage, and Walpole had the house rebuilt to his own specifications, referring to it as his “little Gothic castle”. 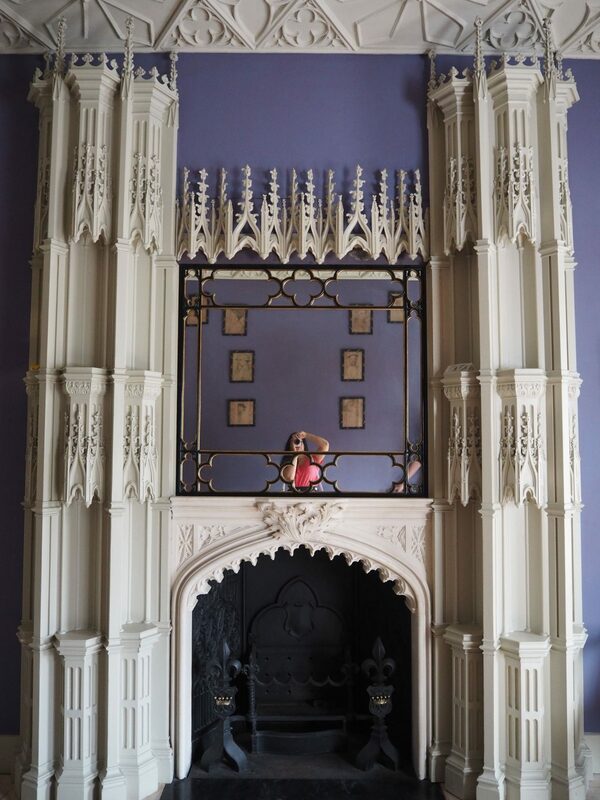 The property was expanded throughout 1749, 1760, 1772 and 1776 (as well as through to the nineteenth century, after Walpole’s death) in a Gothic Revival style – which means Strawberry Hill House is full of dramatic, wonderful and whimsical architectural details. 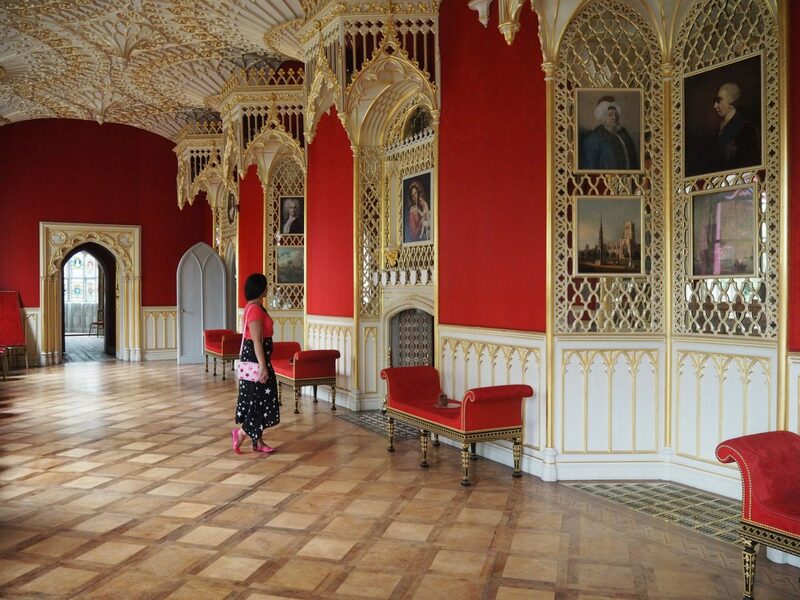 There’s pretty much no corner at Strawberry Hill House that doesn’t have a wow factor. 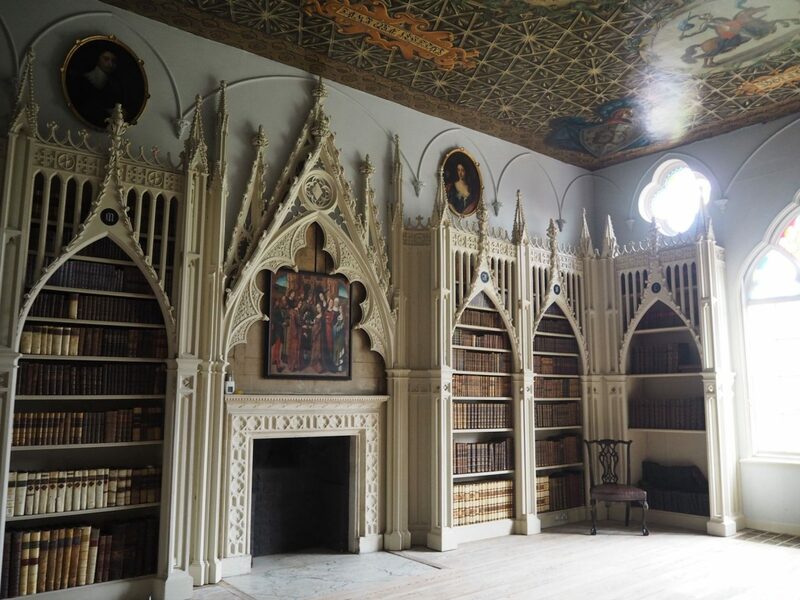 Naturally, there are a few rooms in particular that stood out for me, such as the library. Move over, Beauty and The Beast – this room may be small but it totally deserves the title of fairy tale library. 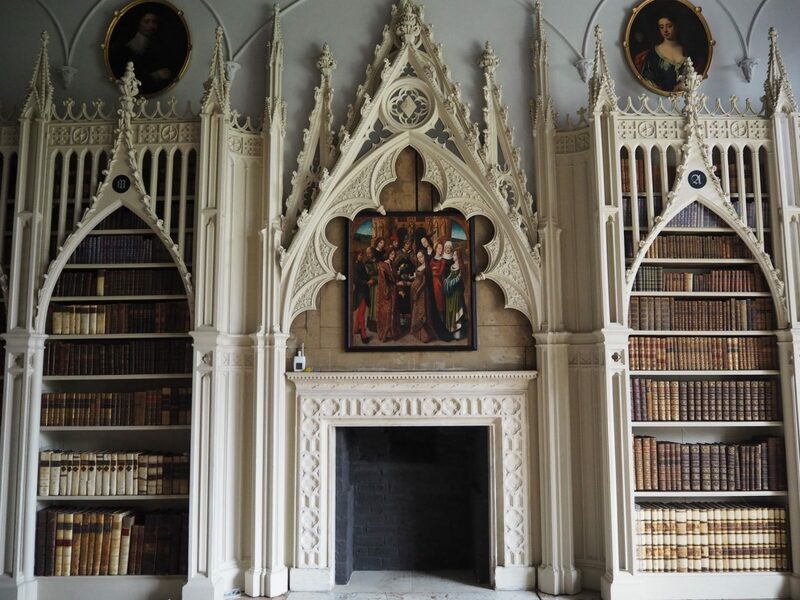 Not only are the shelves composed of striking, cathedral-like attributes, but the ceiling has lovely paintings too. If there’s one thing I’ve always loved and will continue to love, it’s stained glass. Without undermining the rest of the house, I suppose you could refer to this as the pièce de résistance. 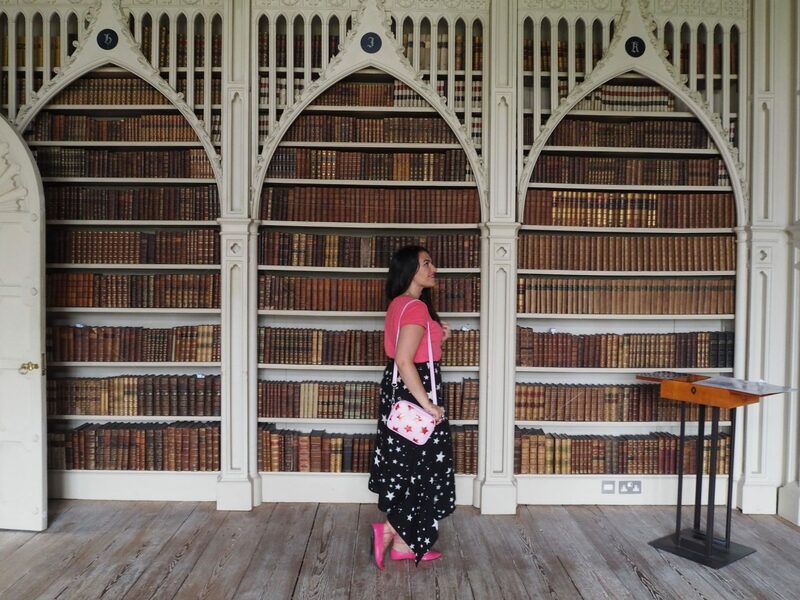 How wonderful is this hallway? 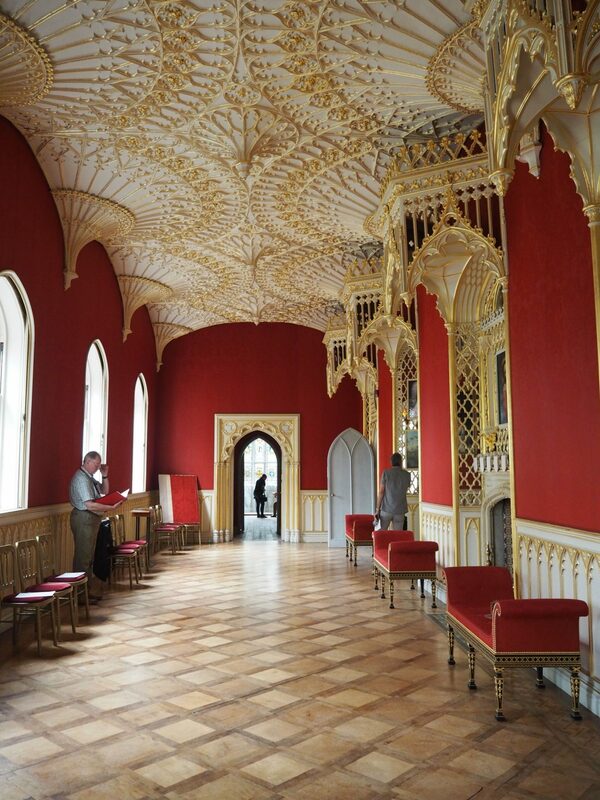 The red walls, the golden details… it’s all too perfect really. One of the house’s volunteers commented on how natural my pose was for this shot. LOL. 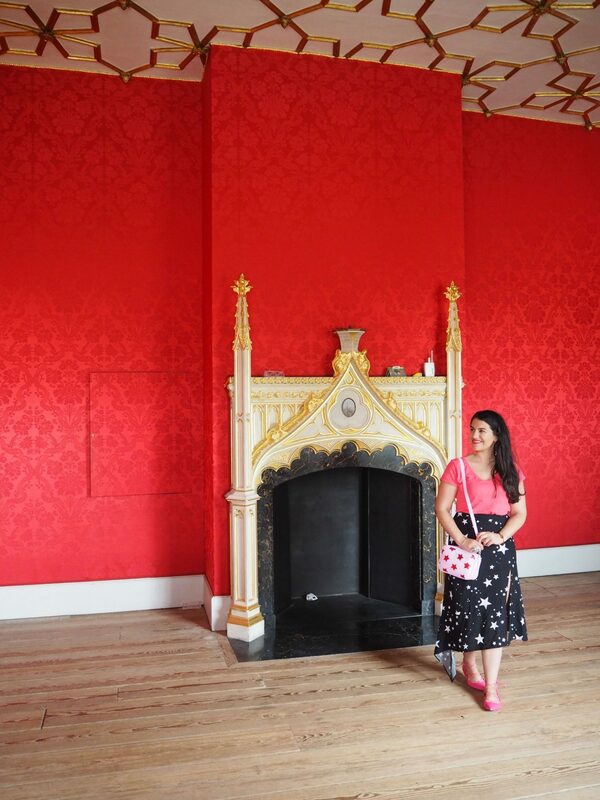 These red walls made me want to paint my home walls red. 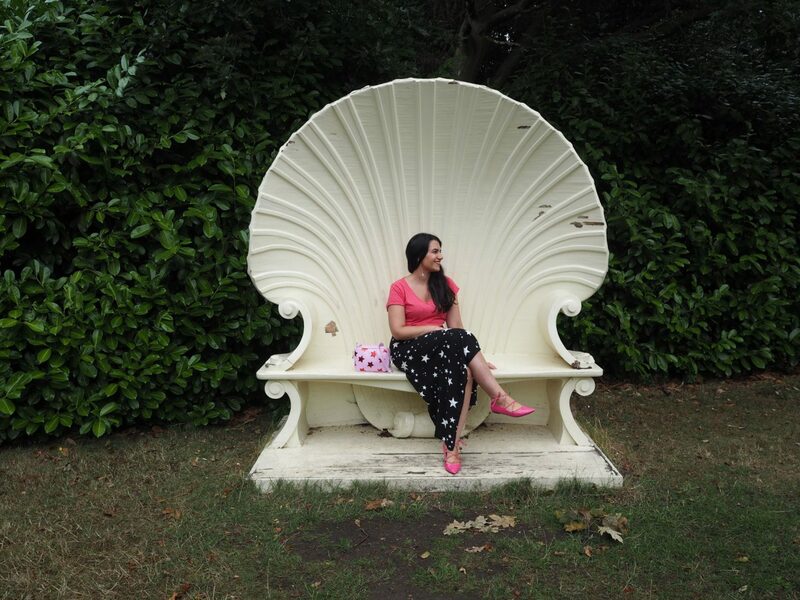 OK, how beautiful is this shell bench? 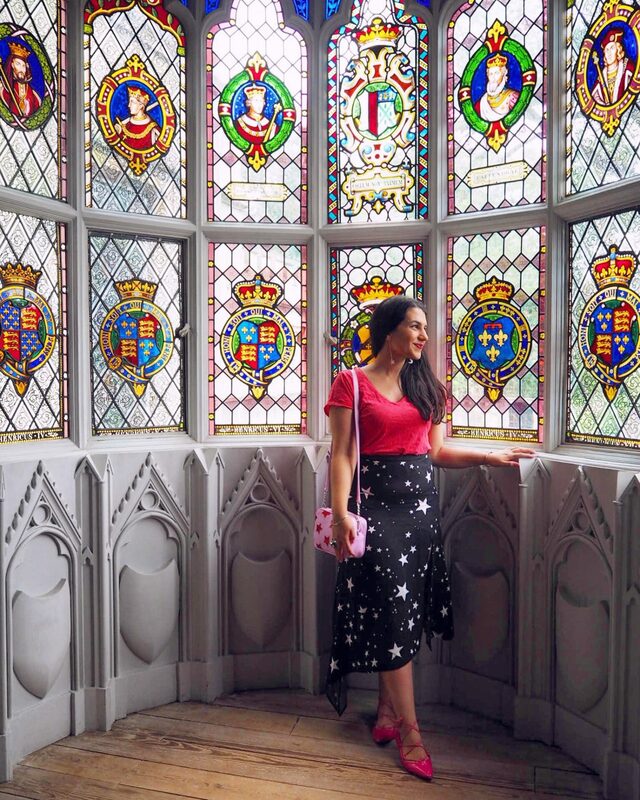 What I love about it is that it’s not some gimmicky Instagram trap (although of course it’s super Instragrammable and I totally instagrammed it – as would all of those seventeenth century fashionistas have done so). 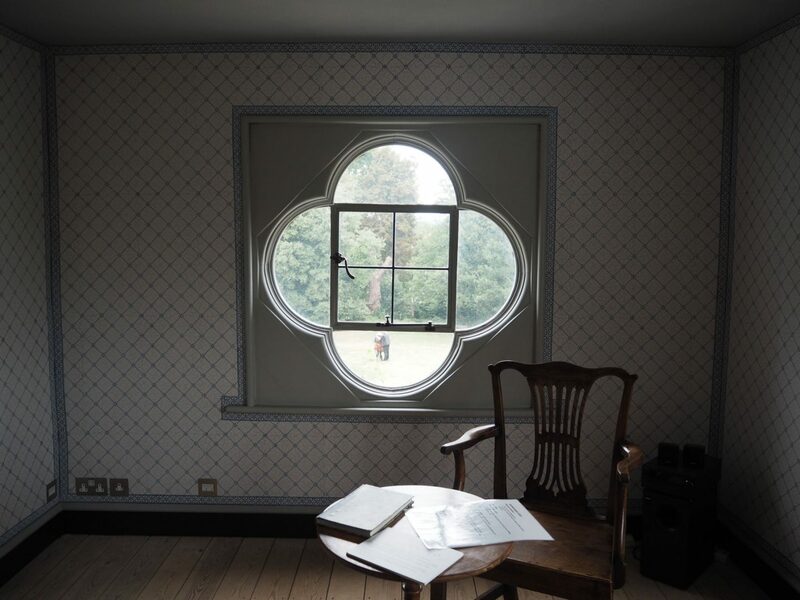 Created in the style of a Rococo shell (and in my opinion reminiscent of this glorious painting), it was supposedly one of Walpole’s favourite things and unsurprisingly one of the main attractions in the gardens that surrounded the house. 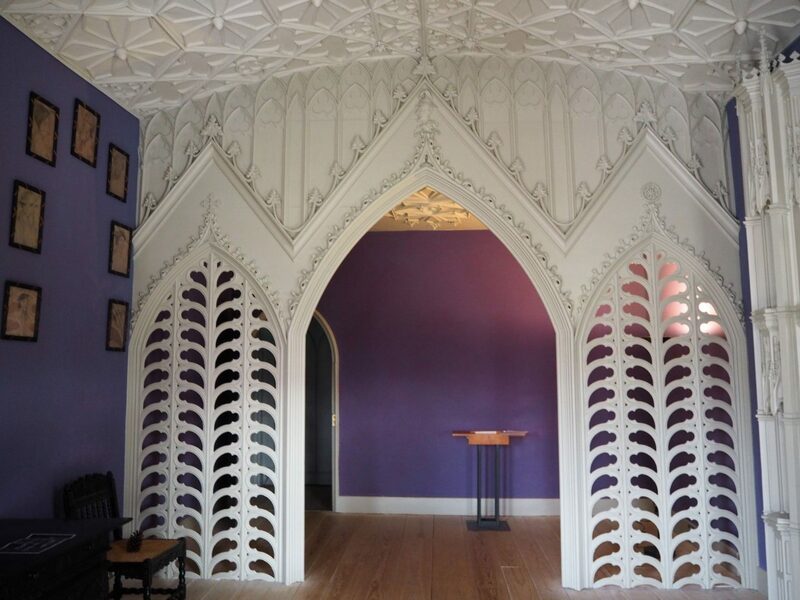 It’s also another great example of Walpole’s eccentric and whimsical taste. The original piece hasn’t survived, but this modern version is supposed to be a great recreation. Skirt (available here), earrings and shoes (from a years go), ASOS. T-shirt, Hush (from last summer). Bag, Skinny Dip London. Jacket, bought two years ago in a boutique in Madrid. Let’s touch down on what I wore, because I really like it. The star piece (get it?) 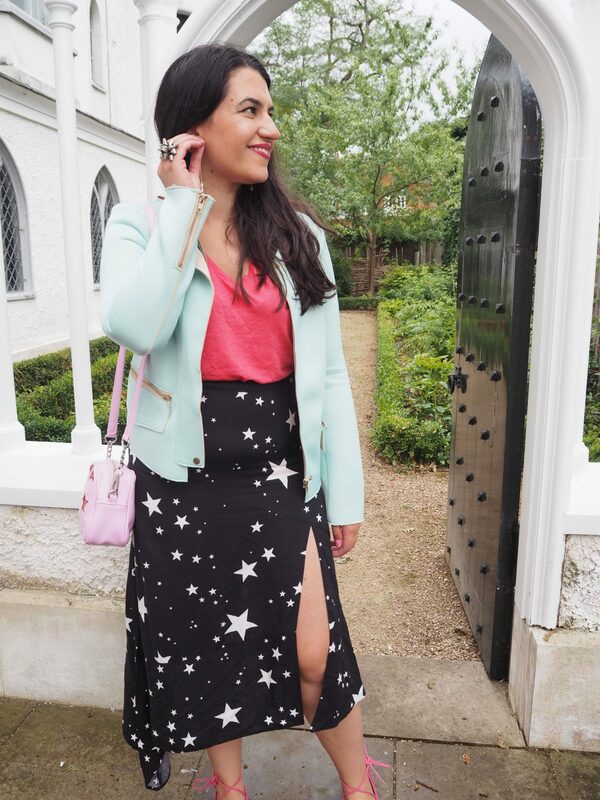 is this slit-tastic star print skirt by ASOS. I’m not gonna lie, the slit bit sits at a very awkward spot on my short self. I do feel very self-conscious when wearing it because it does pretty much feel like I’m going to flash my lady parts to the world any given minute (how does Angelina do it) – but I still love it! I especially like the irregular hemline and the overall airiness of it. 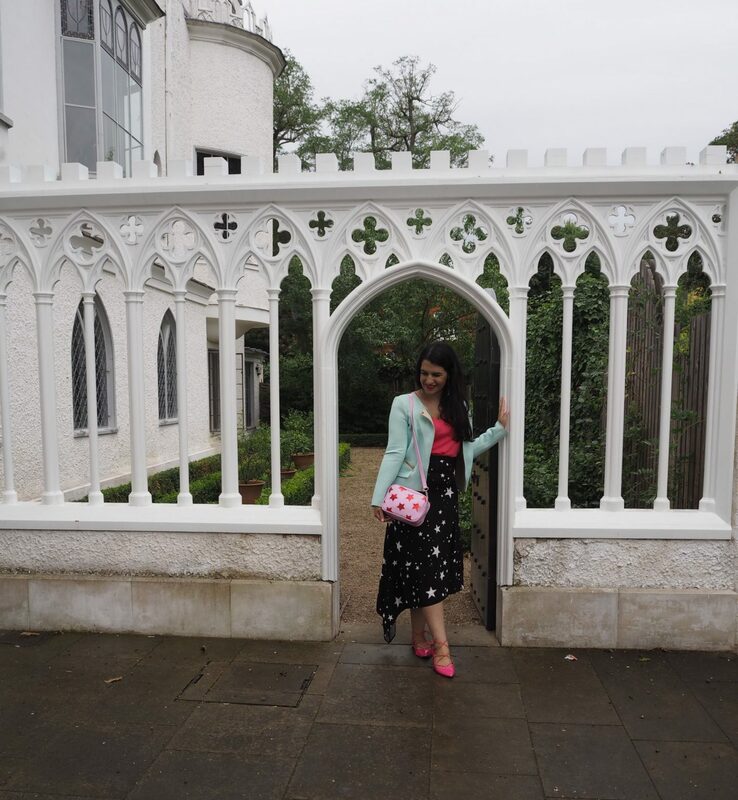 I liked teaming it with this little star bag from Skinny Dip (I kinda love the awkward ‘mismatch but match’ of it all) and I loved revisiting one of my all-time favourite colour combinations, mint and pink. OK, again it’s a little ‘mismatchy’ as I wore hot pink and light mint, but I still loved it and want to get in to mixing turquoise with fuchsia pink and mint with baby pink like I used to in the old days. 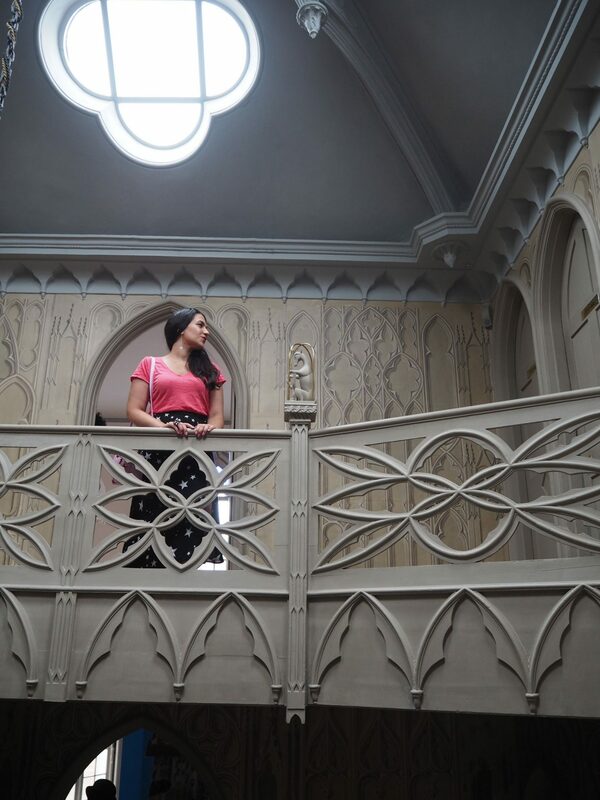 I would recommend Strawberry Hill House to anyone who loves a bit of art and culture, because I don’t see how anyone could not enjoy it, but I guess I especially recommend it to those who love all things whimsical and/or have a penchant for dreamy architectural details. The standard price is £12.50 and yes, I do think it’s worth it. Would I go back? Hell yeah! Probably not by myself though, I’d go with someone who would be seeing it for the first time. But sometimes we all need a real-life fairy tale, right? Pictures taken on August 12th, 2018. 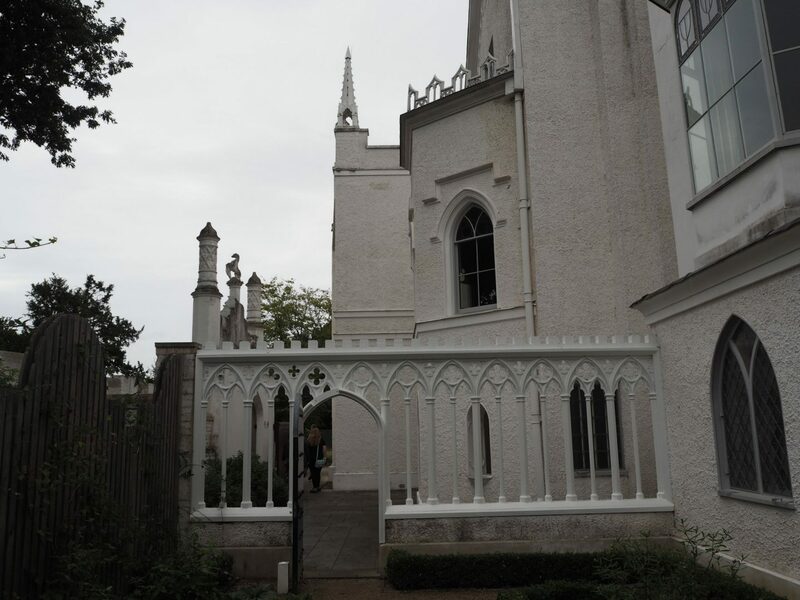 Previous Post Paradise Now: Is This The Prettiest Pop-Up in London?